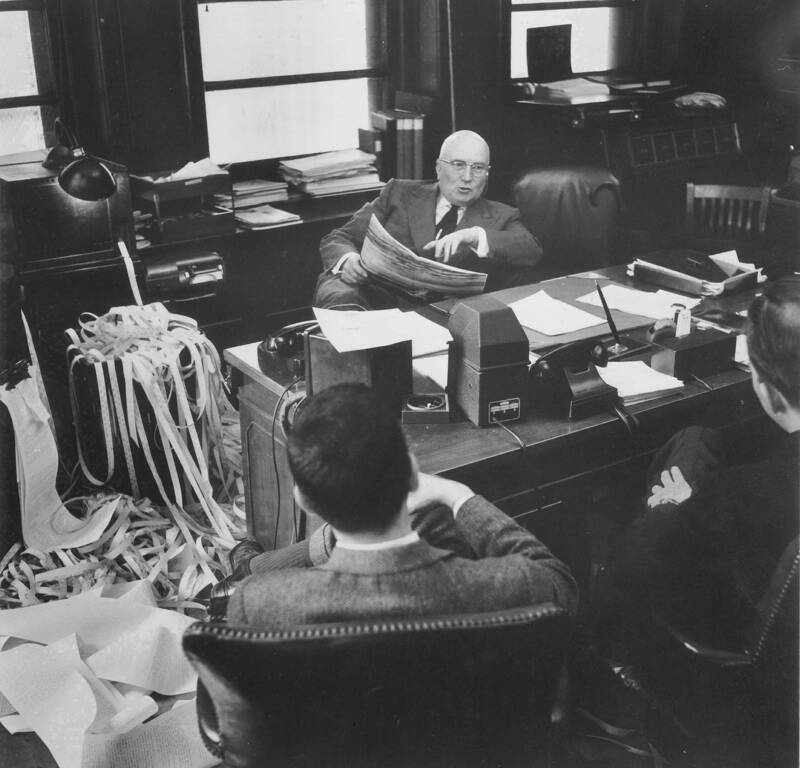 Gerald Loeb (July 1899 – April 13, 1974) was a founding partner of E.F. Hutton & Co., a renowned Wall Street trader and brokerage firm. 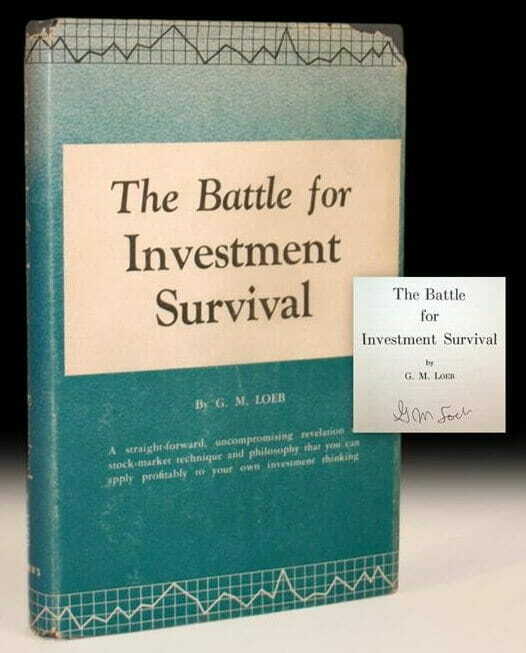 He is the author of The Battle For Investment Survival: PDF and EPUB. One of the early trend following pioneers? Indeed. 1. The most important single factor in shaping security markets is public psychology. 2. To make money in the stock market you either have to be ahead of the crowd or very sure they are going in the same direction for some time to come. 3. Accepting losses is the most important single investment device to insure safety of capital. 4. The difference between the investor who year in and year out procures for himself a final net profit, and the one who is usually in the red, is not entirely a question of superior selection of stocks or superior timing. Rather, it is also a case of knowing how to capitalize successes and curtail failures. 5. One useful fact to remember is that the most important indications are made in the early stages of a broad market move. Nine times out of ten the leaders of an advance are the stocks that make new highs ahead of the averages. 6. There is a saying, “A picture is worth a thousand words.” One might paraphrase this by saying a profit is worth more than endless alibis or explanations…prices and trends are really the best and simplest “indicators” you can find. 7. Profits can be made safely only when the opportunity is available and not just because they happen to be desired or needed. 9. In addition to many other contributing factors of inflation or deflation, a very great factor is the psychological. The fact that people think prices are going to advance or decline very much contributes to their movement, and the very momentum of the trend itself tends to perpetuate itself. 10. Most people, especially investors, try to get a certain percentage return, and actually secure a minus yield when properly calculated over the years. Speculators risk less and have a better chance of getting something, in my opinion. 12. You don’t need analysts in a bull market, and you don’t want them in a bear market.